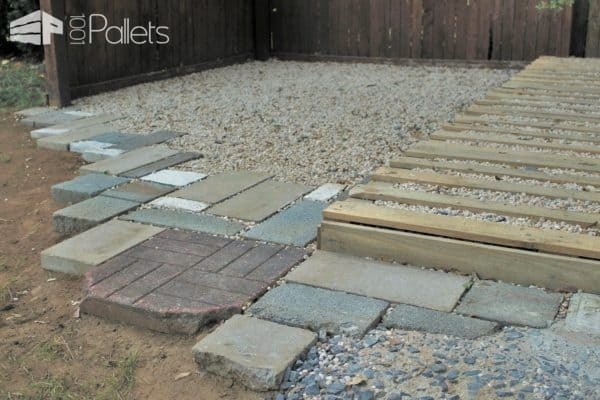 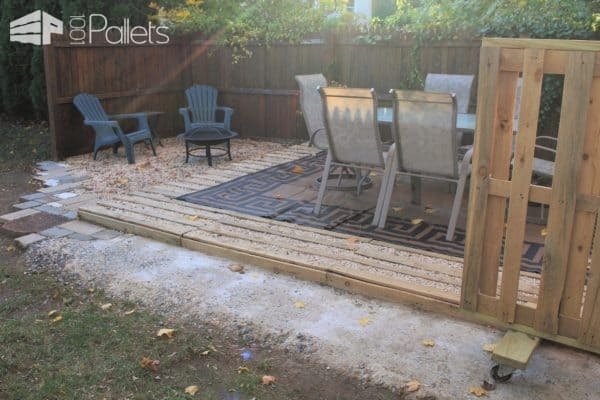 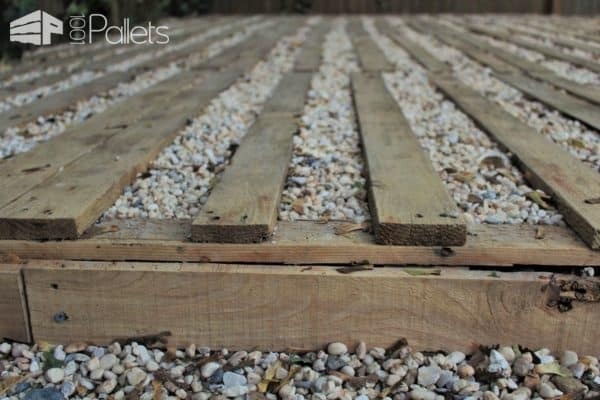 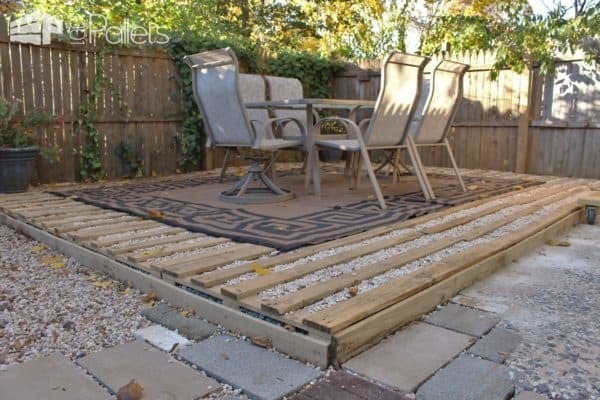 Using wood pallets and gravel, a raised patio was created using re-purposed stone block and pavers from the client's yard. 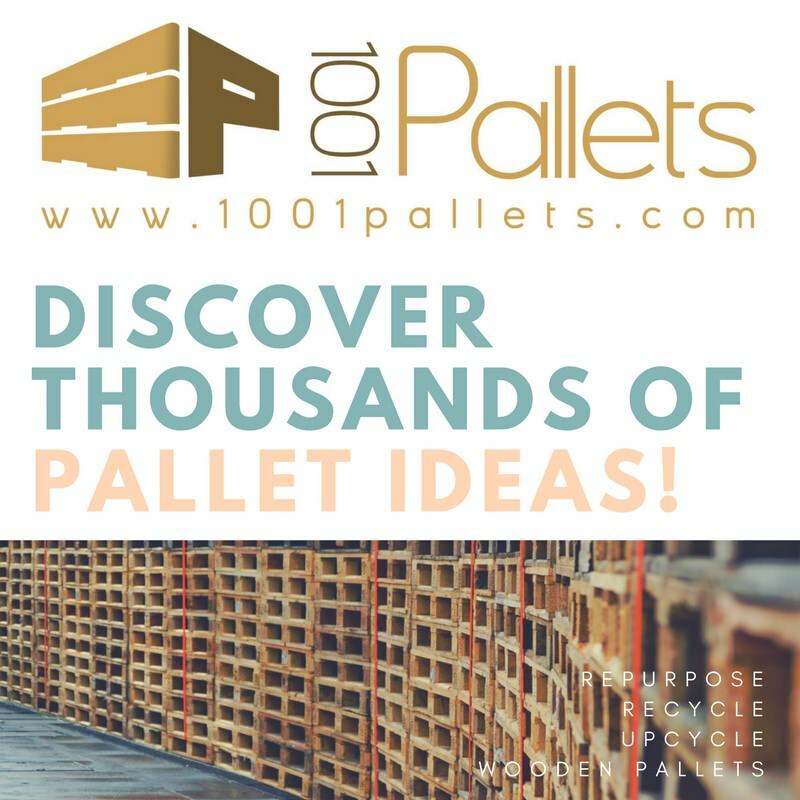 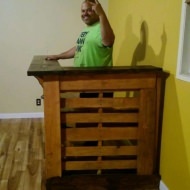 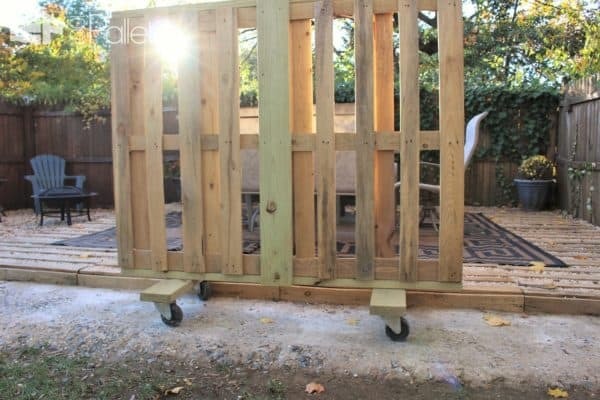 Includes also a movable pallet privacy wall. 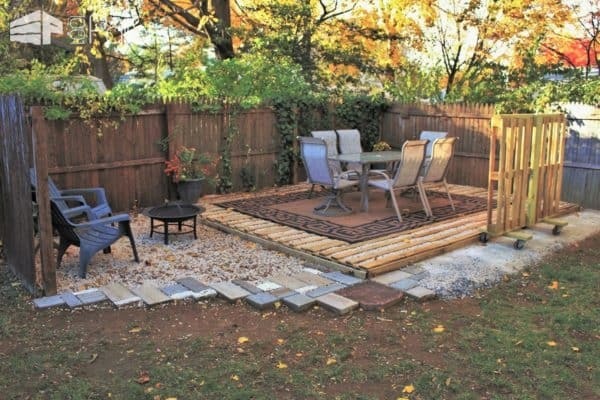 The size of this patio: 600 sq. 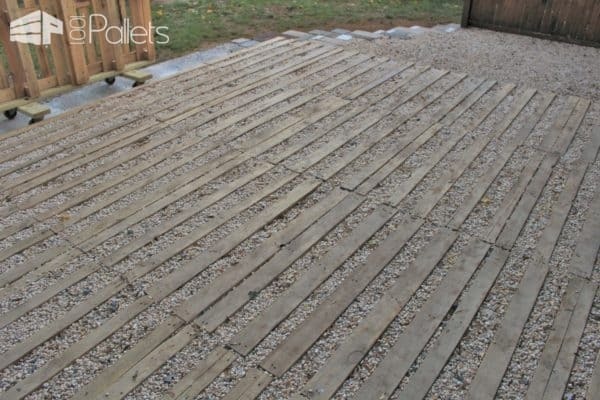 ft.
Finishes used: water sealing oil and paint.